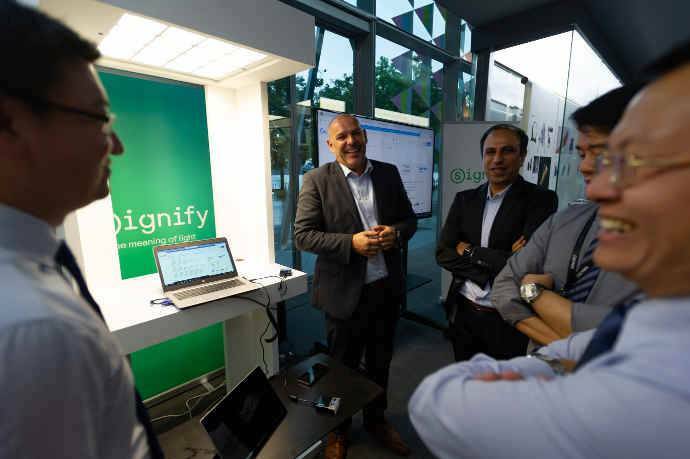 Signify (formerly Philips Lighting) had launched LiFi earlier this year at an international exhibition in Germany and on 30th October held a showcase in Singapore for invited guests. Light Fidelity (LiFi) is a two-way high-speed wireless technology similar to WiFi but uses light waves instead of radio waves to transmit data. LiFi in essence helps reduce the congestion in the radio spectrum space. 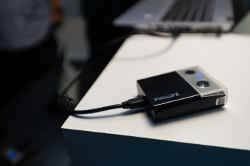 At the event, a working model was set up to show connectivity to a laptop and tablet via LiFi. An ethernet cable is plugged into a modem that then connects to the Philips LED luminaires, which effectively become a wireless router. The LED then transmits data at high speeds through the visible light. A specially designed USB access key plugged into the laptop or tablet receives the data. An infrared emitter built into the USB access key uses infra-red to upload data back to the luminaire. Currently Signify offers LiFi-enabled solutions via its Philips PowerBalance and Philips LuxSpace products. The Philips PowerBalance is ideal for offices and schools because of its wide coverage zones, while the Philips LuxSpace down-light is best suited for creating discreet secure LiFi zones, for example at hospitals. At the event Ed Huibers, Global Head of Business Development for LiFi systems highlighted that currently LiFi standards are still evolving and driving standardisation is a common goal for all LiFi players. This is especially critical for LiFi to go mainstream in the near future, to address spectrum overload and projected exponential use of the Internet. Jitender Khurana, General Manger for Signify in Singapore, Myanmar and Emerging SE Asia, highlighted that continuous discussions are also being held with different stakeholders to understand their needs and how best to implement LiFi to resolve their issues. The following day, Signify signed a MOU with the Republic Polytechnic of Singapore. The MOU offers students more learning opportunities in the following key areas – LiFi, indoor positioning, and other forms of lighting for the Internet of Things (IoT). The Republic Polytechnic will be the first institute of higher learning to work with Signify to adopt LiFi technology in Singapore and South-East Asia. legal name for Signify in Singapore will be adopted after 4 January 2019.